If you’re an African-descent Lutheran like me, you’ve probably already seen Black Panther, which opened last weekend—maybe twice. If not, by seeing it you’ll be getting a solid entry in the Marvel movie series (completing “Phase 3” in the studio’s overall plan for their interconnected cinematic universe), but you’ll also get to take part in a cultural phenomenon never before seen in film. A superhero first created in the late 1960s, Black Panther has been a major part of the Marvel Comics universe since the 1980s. Black Panther, aka King T’Challa, is a member of the Avengers, as well as a diplomat, scientist, statesman and hero. He rules over the fictional African country of Wakanda, considered the most technologically advanced nation in the world, but shrouded in secrecy and untouched by colonization or slavery. The mantle of the Black Panther is passed on from generation to generation in Wakandan society. The heroic figure is steeped in African spirituality, the veneration of ancestors and the hope of an entire people. And Wakandan technology makes Iron Man’s high-tech gadgetry look like child’s play—which has been the case in Marvel comics since I read them as a kid. I can’t tell you the effect this had on me as a child—and now as an adult—to see a vision of my people in which their country was never colonized and in which a dream was never deferred. To see traditions stretching back through untold generations. To see an African king of a country that hasn’t had its resources plundered and traded like cheap party favors on the big screen gave me chills throughout the entire movie. Because let’s be frank: That is not the Africa of today and the story of her children. Our Africa has been a continent at war or cut up by European powers until it had nothing to offer those nations. It had its jewels ripped from her chest; her lands and very body turned into mockeries of what she once was; her culture diluted with hate and death; her children sold off to build the foundation of the nation where we dwell today. Black Panther offers a vision of what Africa could have been without America’s original sin of slavery—an especially important concept for those of us who are members of the country’s whitest mainline denomination, the ELCA. Black Panther offers a vision of what Africa could have been without America’s original sin of slavery—an especially important concept for those of us who are members of the country’s whitest mainline denomination. The Black Panther comics gave 11-year-old me a chance to dream about a hero who can be an authentically African or black person and have something incredible to offer the world. 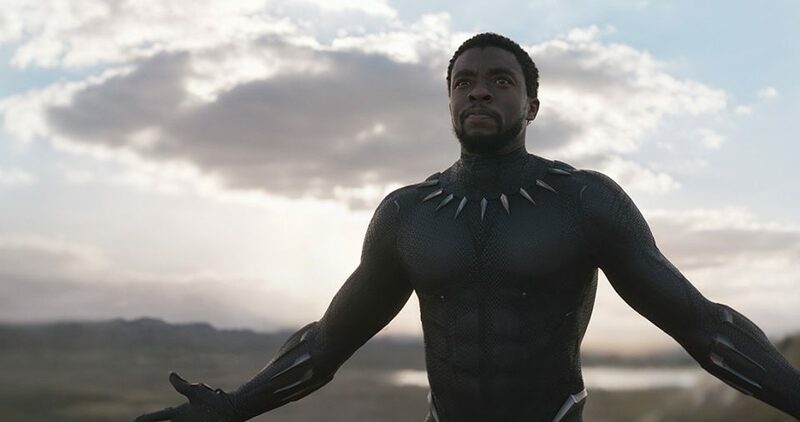 In the comics and in the film, that’s what Wakanda is: a gift to the entire world; a country that shares its resources with people the world over. The impact this will have on a generation of kids watching today—seeing an almost-entirely-black cast stand up against evil with pride and passion, despite what has happened to African-descent people the world over—can’t be overstated. Moreover, Black Panther’s characters are complicated, not one-note. The antagonist, Killmonger, who calls for war against oppressors around the world, is humanized in a way that is breathtaking. I found myself standing with him at different points in the story. He is me after the Trayvon Martin verdict. He is all of us who have screamed, “Hands up, don’t shoot” on the street. He is the thousand tiny cuts and micro-aggressions that are being a black person in this country everyday personified. T’Challa is my elders trying to guide me toward a better way. Finally, and most important, black women in the movie are portrayed as they truly are in our communities. They are a warrior caste. The vanguard. The first in the fray and the last out. They are every black mother. Every black woman organizer. They are gorgeous in their fury and divine in their wisdom. They are innovators and creators. They are the ones who help guard, guide and protect an African kingdom and monarchy that would be lost without them. They walk throughout the movie with grace and love that is deep, holy and abiding. It is perhaps the greatest lesson hidden in the film: the strength of black women is insurmountable. See Black Panther and dream with me about what shouldn’t have ever been, and what may still come. Duncan is a vicar at St. Mark’s Lutheran Church, Conshohocken, Pa. He is approved for ordination and assigned as a mission developer in the Metro New York synod of the ELCA. He is currently an M.Div. Co-op student at the United Lutheran Seminary at Philadelphia, graduating this May.